Yesterday I had two friends over to help break in my new kitchen. 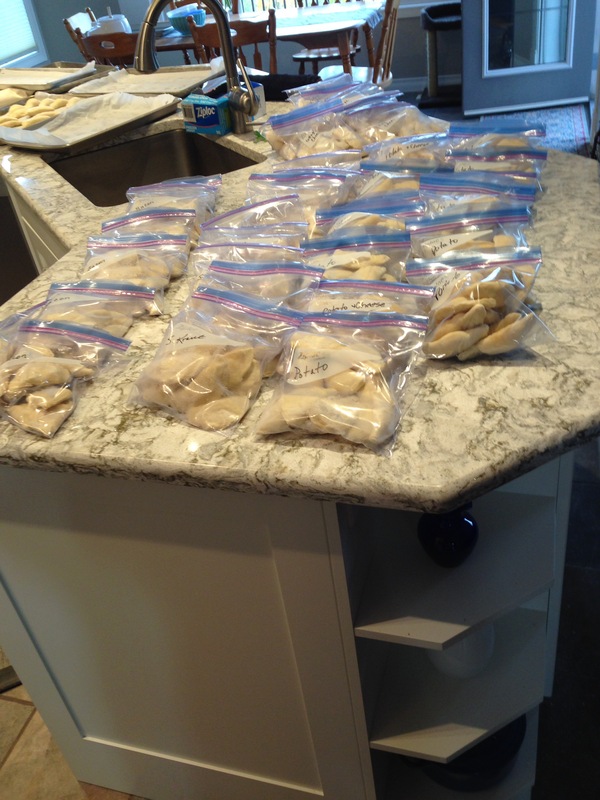 We made 42 dozen perogies! That is 504 of them, so they should last us quite a while! We made potato/cheese/onion, potato/cheese/bacon, sauerkraut/carrot, and cottage cheese/chive. 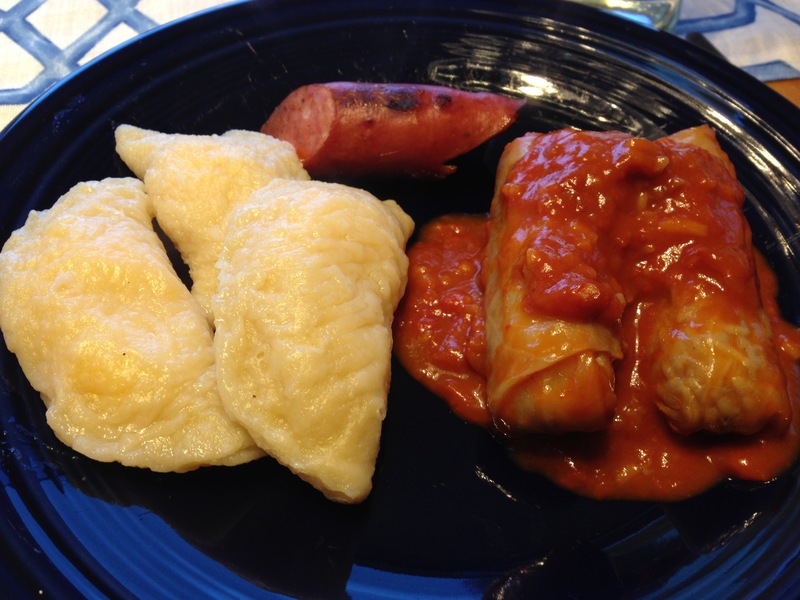 For lunch we enjoyed polish sausage, cabbage rolls and perogies. A very fine day between friends and lots of good food for our freezers! For the recipe, check out an old post of mine called Varenyky. I absolutely LOVE perogies and tend to make them only once or twice a year. It drains me doing it on my own and half way through I always think “why did I start this?” lol. They’re definetly worth it though. Seeing these perogies motivate me to do another batch soon. Haha. We had the same thought at one point during the day. Find a friend to do it with – it makes the day go faster! I only make them a couple times a year too. So much better than boughten ones.